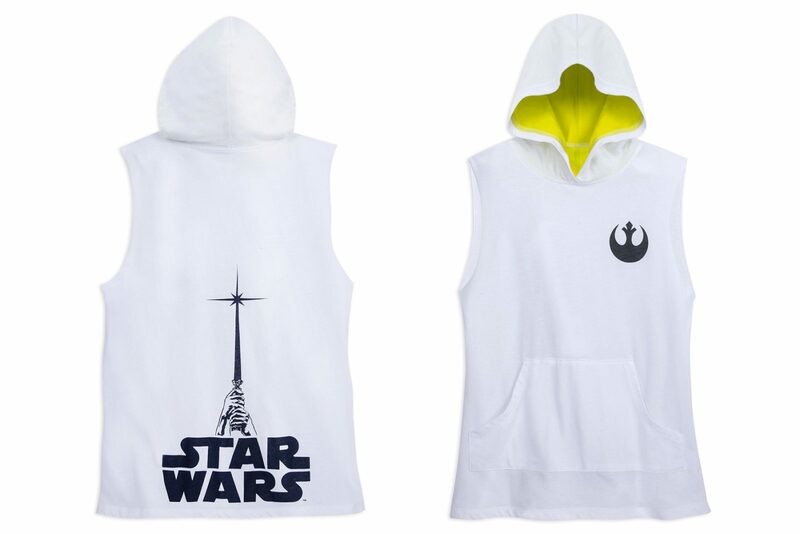 This women’s Star Wars hooded tank top is now available at Shop Disney. 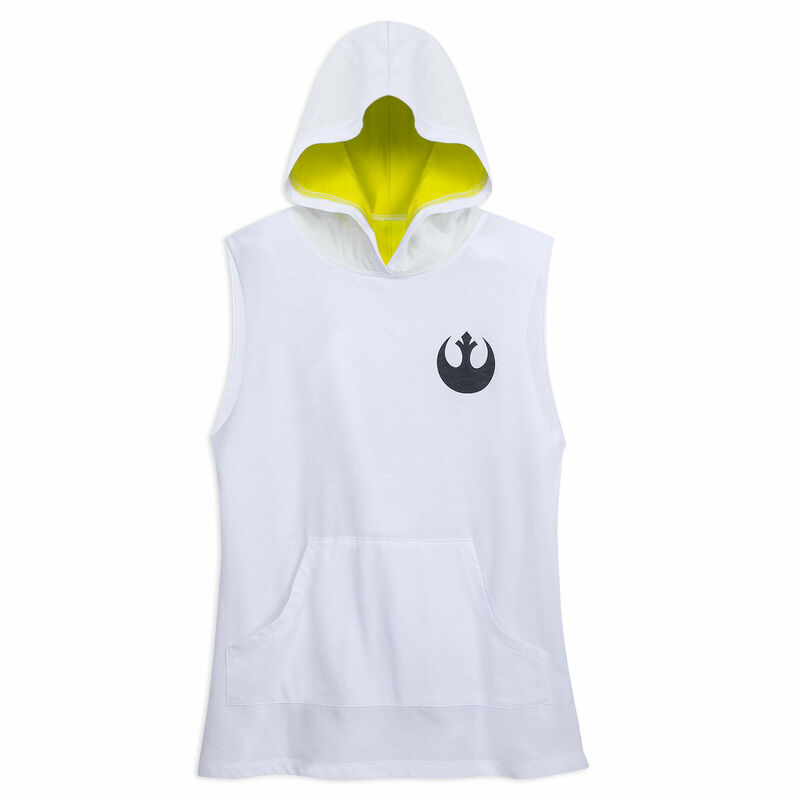 Made from 60% cotton / 40% polyester, the white tank top features a printed Rebel Alliance ‘starbird’ symbol on the front, and the classic Star Wars logo on the back, along with a lightsaber held high. The tank top has a front pouch pocket, and contrasting colour lining in the hood. 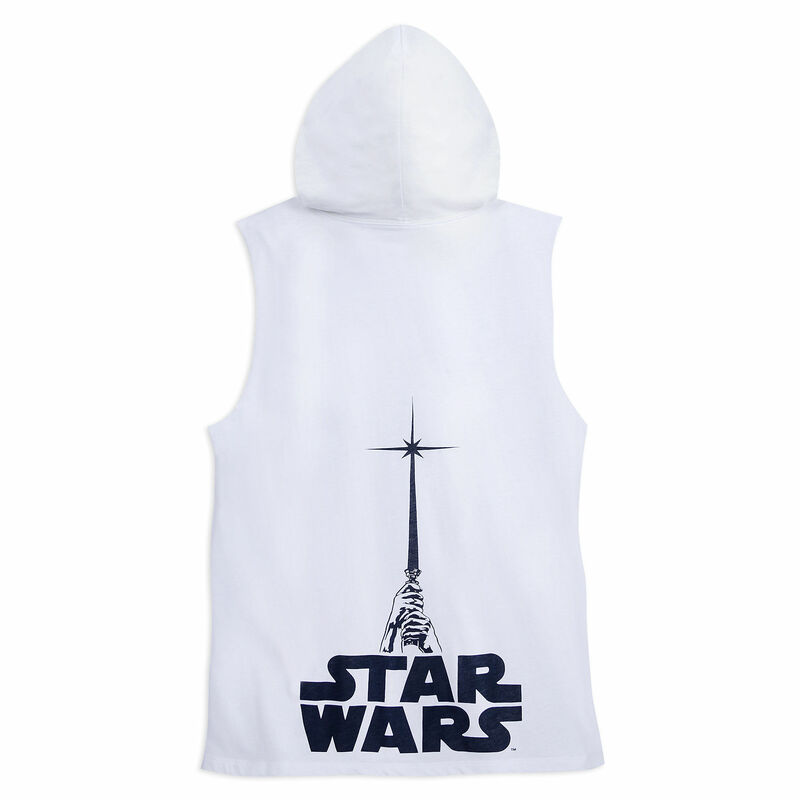 Show your galactic allegiance with this Star Wars Hooded Tank Top for Women. The Rebel Alliance Starbird insignia is featured on the front of this soft blended jersey tank that includes a contrasting lined hood and large pouch pocket. Available in sizes XS to XXL, the tank top is priced at US$32.99 each – Shop Disney can ship internationally.